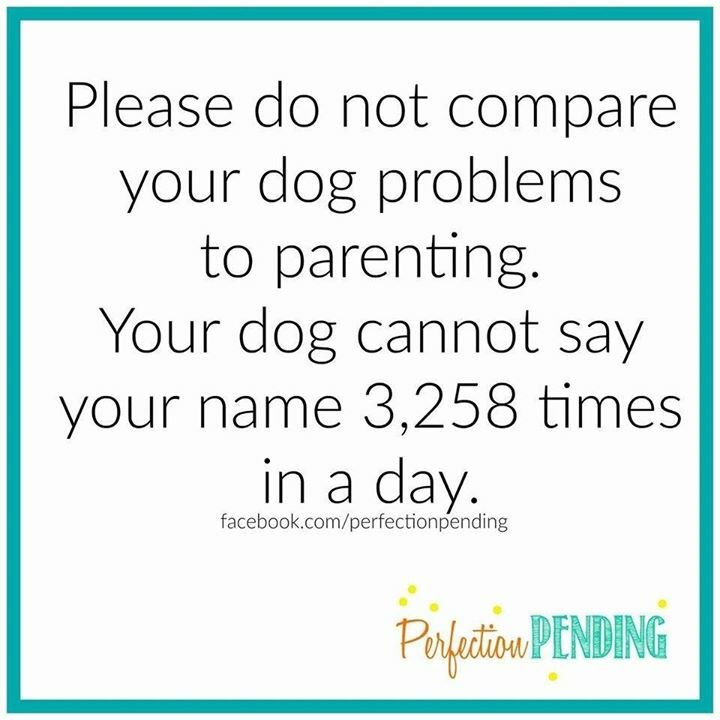 PLEASE DO NOT COMPARE YOUR DOG PROBLEMS TO PARENTING. YOUR D - ProudMummy.com the Web's Community for Mums. PLEASE DO NOT COMPARE YOUR DOG PROBLEMS TO PARENTING. YOUR DOG CANNOT SAY YOUR NAME 3,258 TIMES IN A DAY. Uve not met my dog!! Lucy Mulvany is this true?